Indian whisky is big. Eight of the top 10 best-selling whisky brands in 2015 were made in India, with only Johnnie Walker and Jack Daniel’s preventing a whitewash. 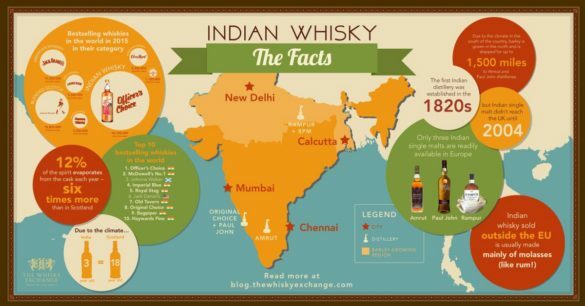 Almost all of the whisky produced in India is made by blending spirit distilled from fermented molasses (similar to what we know as rum) with either grain whisky (maize, wheat, rye or barley) or pre-blended Scotch whisky; it cannot be sold in Europe as whisky. The biggest brand, Officer’s Choice, sold an astonishing 400 million bottles in 2015! DO THEY MAKE SINGLE MALT, TOO? Yes. 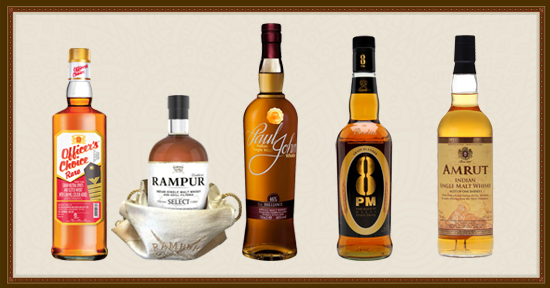 It is a growing category of Indian whisky, but as of 2016, there are just three that are readily available: Amrut (first seen in Europe in 2004), Paul John (2012), and Rampur (new this year). Can Indian ‘whisky’ be sold in Europe? Yes, but it cannot be labelled as ‘whisky’ and is normally called a ‘spirit drink’. 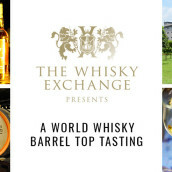 One example is 8PM, the world’s 18th bestselling whisky in 2015. How is INDIAN SINGLE MALT made? To be able to be sold as whisky in the EU and elsewhere, Indian single malts are made in the same way as Scotch – with malted barley in pot stills and aged in oak for at least three years. WHERE DOES THE BARLEY COME FROM? 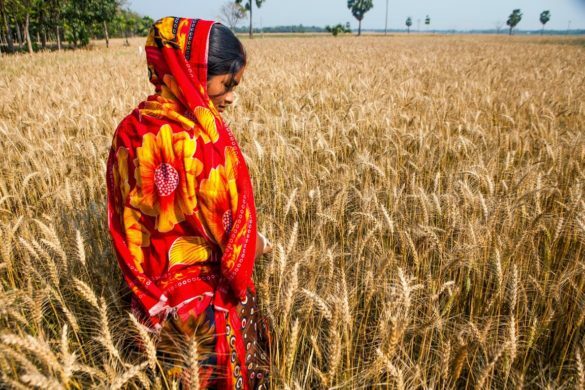 Due to the cooler temperatures, Indian barley is almost exclusively grown in the north of the country, mainly near the borders with China, Nepal and Pakistan. For the southern distilleries (Amrut and Paul John), this means the barley has to be transported around 1,500 miles by road to the distilleries. For peated whiskies, either peat or pre-smoked barley is imported from Scotland. 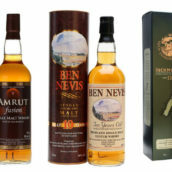 IS SCOTCH WHISKY BOTTLED IN INDIA? Yes! Scotch Whisky Regulations permit imports of blended Scotch whisky in bulk to be bottled in another country. India is one of the many places this happens; for example you can find locally bottled examples of Teacher’s, Vat 69 and Black & White. Isn’t it too hot TO MAKE WHISKY in india? 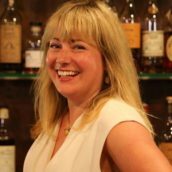 The heat isn’t as much of a problem as you may think for the three single-malt distilleries. The average high, even in the height of summer, is 35°C in Bangalore (home of Amrut) 31°C in Rampur and a degree less than that for Paul John in Goa, calmed by the maritime climate). As a guide, Kentucky bourbon and Tennessee deal with similar temperatures. The lack of humidity is arguably the biggest obstacle faced by Indian whisky producers for two reasons: it causes both the ageing process to accelerate (around six times, so a three-year-old Indian malt is similar in maturity to an 18-year-old Scotch), and for a higher ratio of water to alcohol to evaporate (the angel’s share), so the abv rises during maturation. How should you drink it? 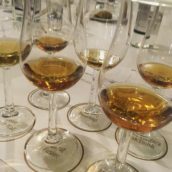 What does the future hold for Indian single malt? Sales are growing by around 10% per year. Abraham predicts that Indian single malt consumption will be ‘explosive’ in the near future and that more Indian distilleries will bring out single malts of their own. Which single malts do you recommend? If you’ve never tried Indian whisky before, Amrut Fusion is a great place to start. A mix of unpeated Indian and lightly peated Scottish barley, it’s rich, fruity, spicy and one of our favourites. What’s more, buy a bottle before 21 September and you could win a bottle of the rare Greedy Angels 10 Year Old, the oldest-ever Indian whisky. See our prize draw page for full details. If you prefer your whisky unpeated, then Paul John Brilliance is fruity and creamy, and made exclusively using Indian barley. 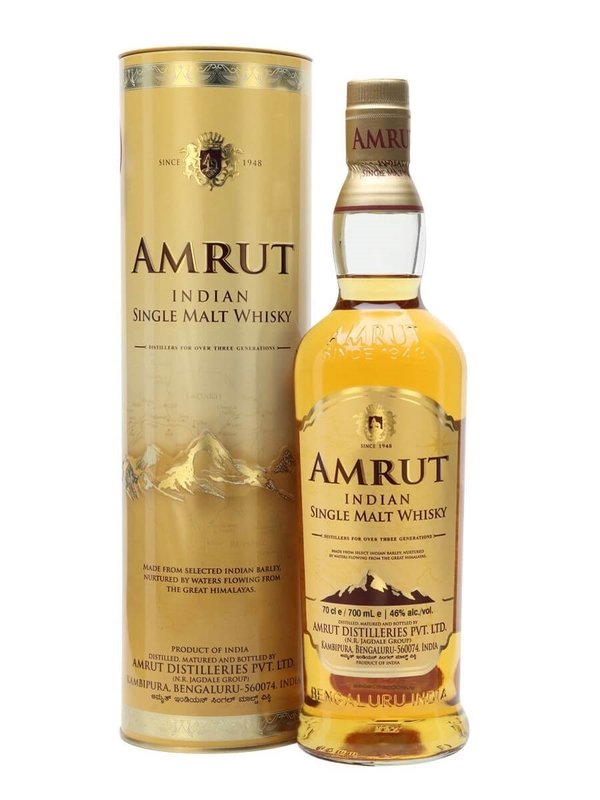 Amrut's flagship Indian single malt, showing their signature character of spice, fruit and honey. Bottled at 46%, it has the depth of flavour needed to properly showcase the distillery. The original Indian single malt and, dare we say it, maybe the best? 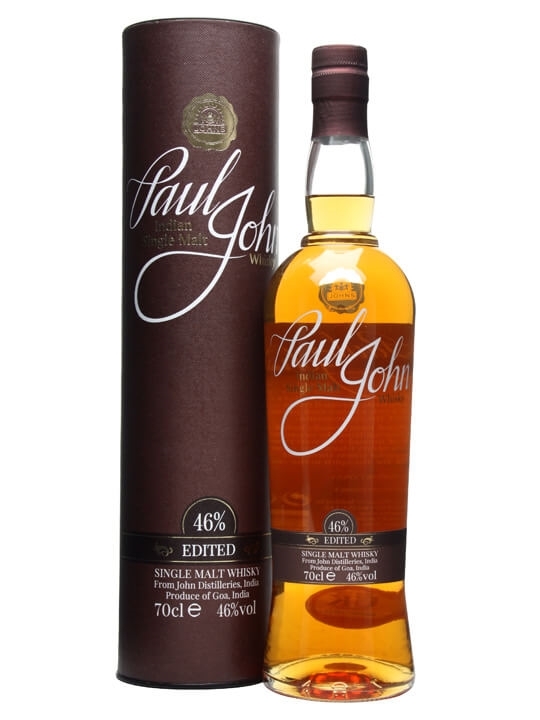 The ongoing semi-peated whisky from Indian distiller Paul John. It combines their fruity unpeated single malt whisky with some 20-25ppm peated spirit to give a sweet and spicy whisky balanced by an underlying earthy smoke. 8PM is the flagship brand of Radico Khaitan, formerly known as Rampur Distillery. 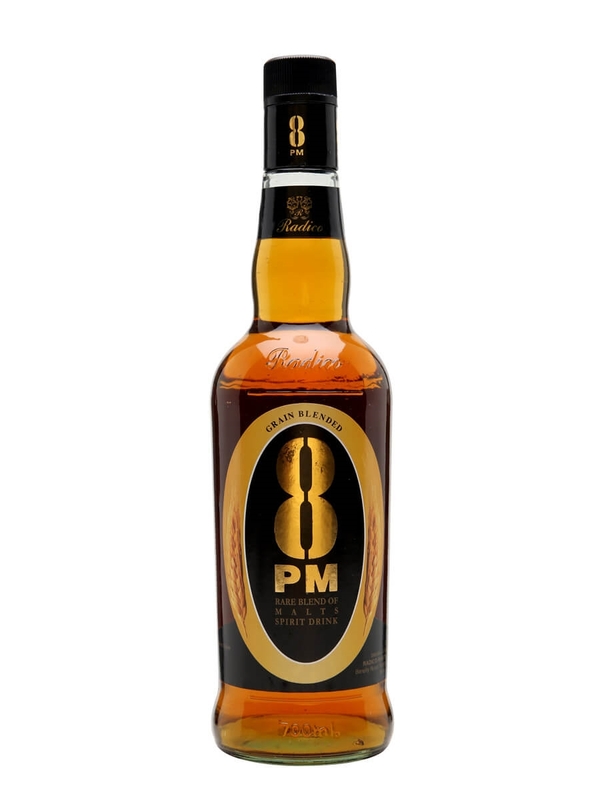 After selling 1 million cases in its first year, 8PM won its place in the Limca Book of Records (India’s equivalent to Guinness World Records) and became recognised as one of India’s premium whisky brands.